BOX IT! 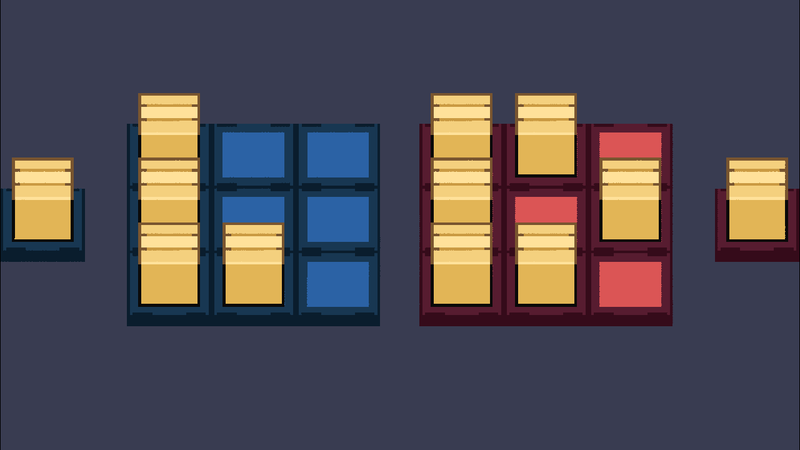 is a game in which you need to fill the opponent's platform with boxes faster than it will! There are two types of boxes: just a box and a bomb. I planned to add more, but did not have time. You need to put your boxes in the opponent's zone. The one who will fill the opponent's zone faster will win. Bombs remove boxes around themselves. Have a fun! You can play with friends on android version or play versus AI in the web.